Madison County has won the G1 Levin Classic for trainers Muray Baker (above) and Andrew Forsman. The all-conquering New Zealand training partnership of Murray Baker and Andrew Forsman has struck again with Madison County in the Group One Levin Classic at Trentham. Carrying the familiar colours of the China Horse Club, Madison County was sent out the short-priced favourite and punters were on good terms with themselves as rider Matt Cameron settled his him midfield on the rail. Although saving ground on the fence, Madisn County became trapped behind horses coming into the straight until Cameron found clear running at the 250m and Madison County sprinted away from Hypnos and Vernanme, who dead-heated for second. “He’s not very big but he’s all heart,” Forsman told NZ Racing Desk. “He was four-back the fence and, in reality, that was always where he was going to be. “I sort of wanted to walk away half-way through the race as I thought he had too much to do. 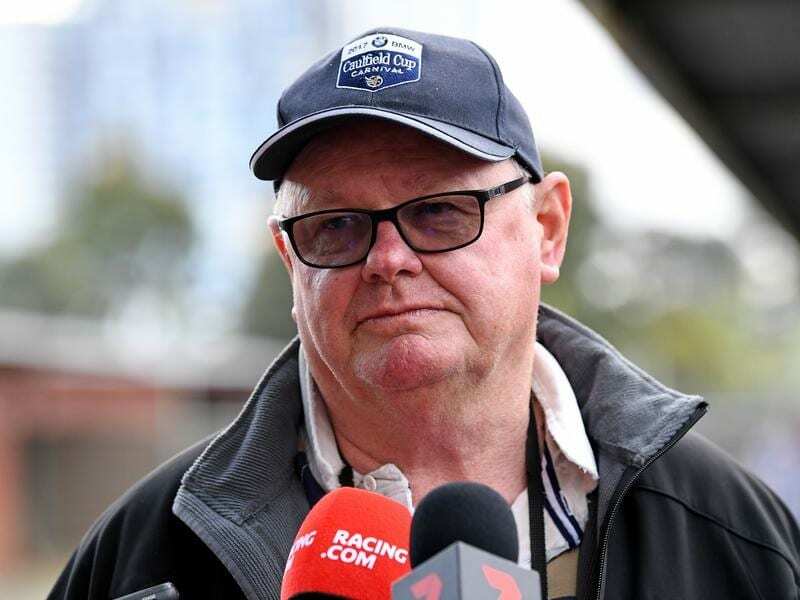 Forsman said Madison County would now be aimed at the Listed Karaka Million 3YO Classic (1600m) at Ellerslie in a fortnight. Madison County also holds a nomination for the New Zealand Derby (2400m) at Ellerslie on March 2 and may go via the weight-for-age Herbie Dyke Stakes (2000m) at Te Rapa on February 9.